Where absence weaves images, presence releases the mind for images. If you become thoroughly present in passive listening when you for instance are angry, then it is not absence, which allows the past to push itself in and create reflections, and disturbing the actual sensation of the immediate anger. It is something else, which releases you. I have no view of my own. All my critical arguments are simply reduction to absurdity of the views ignorance has created. You can find a site map in the Archive. What is a Life Artist? The mystical experience. It doesn't come from your head. It unfolds from your heart like a flower. 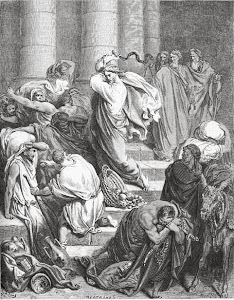 Jesus driving moneychangers & merchants from the Temple. "Consider the lilies of the field, how they grow: they toil not, neither do they spin: and yet I say unto you that even Solomon in all his glory was not arrayed like one of these." Question to Peace Pilgrim: Why don't you accept money? Peace Pilgrim: Because I talk about spiritual truth, and spiritual truth should never be sold - those who sell it injure themselves spiritually. Those who attempt to buy spiritual truth are trying to get it before they are ready. In this wonderfully well-ordered universe, when they are ready, it will be given. The Idler Academy. Back in 1991, bored to tears by his job, 23 year old journalist Tom Hodgkinson lay on his bed and dreamed of starting a magazine called The Idler. He’d found the title in a collection of essays by Dr Johnson, himself a constitutionally indolent man. How to live, that was the question. How to be free in a world of jobs and debt? And curse this alarm clock. Tom was fortunately sacked from his job and started to sign on. He wandered across the road to where his old friend, designer and writer Gavin Pretor-Pinney lived. Gavin was the kind of person who could help Tom to realise this dream. And he did. In August 1993, the pair produced issue one of the Idler. It had the sub-title “literature for loafers”. Dr Johnson was the cover star and there was an interview with magic mushroom guru Terence McKenna. Contributors included a young journalist called Louis Theroux. The magazine has since enjoyed a number of incarnations. In the nineties it was published by the Guardiannewspaper, then by Ebury publishing. Tom published the Idler as an annual collection of essays until 2014, then relaunched the mag in 201 The Idler Academy, founded at a festival in 2010, is the Idler’s educational offshoot. It is a school which offers online and real-world courses in the classical liberal arts and practical skills. From 2011 to 2015 we ran a small bookshop and café in Notting Hill. The Idler Academy teaches philosophy, astronomy, calligraphy, music, business skills, English grammar, ukulele, public speaking, singing, drawing, self-defence and other subjects. Here you can educate yourself in the ideas of Plato or learn the ukulele, in convivial surroundings with like-minded and interesting people. How to Be Idle: A Loafer's Manifesto, Tom Hodgkinson. How To Be Idle is an antidote to the work-obsessed culture which puts so many obstacles between ourselves and our dreams. Hodgkinson presents us with a laid-back argument for a new contract between routine and chaos, an argument for experiencing life to the full and living in the moment. Ranging across a host of issues that may affect the modern idler – sleep, the world of work, pleasure and hedonism, relationships, bohemian living, revolution – he draws on the writings of such well-known apologists for idleness as Dr Johnson, Oscar Wilde, Robert Louis Stevenson and Nietzsche. The Freedom Manifesto (by Tom Hodgkinson): How to Free Yourself from Anxiety, Fear, Mortgages, Money, Guilt, Debt, Government, Boredom, Supermarkets, Bills, Melancholy, Pain, Depression, Work, and Waste.Tom Hodgkinson, now shares his delightfully irreverent musings on what true independence means and what it takes to be free. The Freedom Manifesto draws on French existentialists, British punks, beat poets, hippies and yippies, medieval thinkers, and anarchists to provide a new, simple, joyful blueprint for modern living. From growing your own vegetables to canceling your credit cards to reading Jean-Paul Sartre, here are excellent suggestions for nourishing mind, body, and spirit--witty, provocative, sometimes outrageous, yet eminently sage advice for breaking with convention and living an uncluttered, unfettered, and therefore happier, life. Business for Bohemians: Live Well, Make Money, by Tom Hodgkinson. In this book, Tom Hodgkinson combines practical advice with laugh-out-loud anecdote to create a refreshingly candid guidebook for all of us who aspire to a greater degree of freedom in our working lives. Whether you dream of launching your own startup or profiting from your creativity in your spare time, Business for Bohemians will equip you with the tools to turn your talents into a profitable and enjoyable business. Accounting need no longer be a dark art. You will become au fait with business plans and a friend of the spreadsheet. You will discover that laziness can be a virtue. Above all, you will realise that freedom from the nine-to-five life is achievable - and, with Hodgkinson's comforting, pragmatic and extremely funny advice at hand, you might even enjoy yourself along the way. This book is a help for people who want to make a living out of their true calling in life, and thereby turn their work into play and art. Brave Old World: A Month-by-Month Guide to Husbandry, or the Fine Art of Looking After Yourself, by Tom Hodgkinson. In this book Tom Hodgkinson takes us on a modern tour of the ancient arts of everyday living: philosophy, husbandry and merriment. Drawing on the wisdom of an eclectic range of thinkers and writers, and, as ever, on Tom's own honestly recounted and frequently imperfect attempts to travel the road to self-sufficiency, Brave Old World charts the progress of a year in pursuit of the pleasures of the past. From January to December, let Tom be your guide to a better, older way of life. Tom Hodginson represents the same strange mix of anarchism and conservatism (Anarcho-conservatism), which also Karen Blixen and J.R.R. Tolkien represented; the defend of the pre-modern and ancient as a way to true freedom in the now. The Church of the Latter-Day Dude - Dudeism is a philosophy and lifestyle inspired by "The Dude", the protagonist of the Coen Brothers' 1998 film The Big Lebowski. Dudeism's stated primary objective is to promote a modern form of Chinese Taoism, outlined in Tao Te King by Lao Tzu, blended with concepts from the Ancient Greek philosopher Epicurus, and presented in a style as personified by the character of Jeffrey "The Dude" Lebowski, a fictional character portrayed by Jeff Bridges in the film. Dudeism has sometimes been regarded as a mock religion, though its founder and many adherents claim to regard it seriously. Founded in 2005 by Oliver Benjamin, a journalist based in Chiang Mai, Thailand, Dudeism's official organizational name is The Church of the Latter-Day Dude. An estimated 350,000 Dudeist Priests have been ordained worldwide as of August 2016 and marriages have been officiated legally by Dudeist clergy in some US states. Although Dudeism primarily makes use of iconography and narrative from The Big Lebowski, adherents believe that the Dudeist worldview has existed since the beginnings of civilization, primarily to correct societal tendencies towards aggression and excess. They list individuals such as Lao Tzu, Epicurus, Heraclitus, Buddha, and the pre-ecclesiastical Jesus Christ as examples of "Great Dudes in History". More recent antecedents include pillars of American Transcendentalism such as Ralph Waldo Emerson and Walt Whitman and humanists such as Kurt Vonnegut and Mark Twain. In Defense of Boredom: 200 Years of Ideas on the Virtues of Not-Doing from Some of Humanity’s Greatest Minds - by Maria Popova (quotes from Bertrand Russell, Søren Kierkegaard, Andrei Tarkovsky, Susan Sontag, Adam Phillips, Renata Adler, and more). This is important, since boredom can constitute what I, in my book A Portrait of a Lifeartist, call a nihilistic moment in the practice of idleness, which might cause escapism. These thinkers show the importance of boredom. Life Artist. What Might it Mean? The Moneyless Manifesto (Mark Boyle) - read it for free! Hippy Havens. 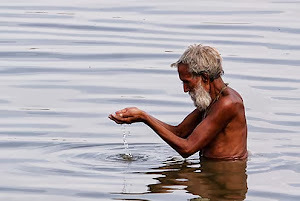 This is a good guide for Philosophical Globetrotters traveling on low budget. The Right to Useful Unemployment, by Ivan Illich. Like all revolutionary philosophers, Ivan Illich takes a fresh and searingly critical look at the nature of society, questioning the myth of progress and provoking people into rethinking some of the basic assumptions that underly it. In this postscript to Tools for Conviviality, he calls for the right to useful unemployment: a positive, constructive and even optimistic concept dealing with that activity by which people are useful to themselves and others outside the production of commodities for the market. Unfettered by managing professionals, unmeasured and unmeasurable by economics, these activities truly generate satisfaction, creativity and freedom. 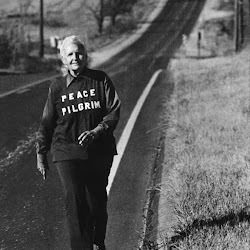 Peace Pilgrim - She vowed to "remain a wanderer until mankind has learned the way of peace, walking until given shelter and fasting until given food." Spiritual Vampires – The Use and Misuse of Spiritual Power, by Marty Raphael. In this day and age of spiritual teachers that come in every conceivable guise, Spiritual Vampires is an important manual on the appropriate use of power-a strategy for healthy spiritual recovery for those who have been subject to religious abuse. Marty Raphael bravely names a form of abuse we'd rather believe does not exist. Her personal story of healing is a powerful contribution to the healing of all spiritual abuse survivors! People whose lives center on destroying other people's lives by disempowering them, who reduce their victims to dependent subjects to be lorded over, have been called spiritual vampires. Some of the therapists, ministers and gurus I've written about elsewhere in my articles and books could be called spiritual vampires, very aptly. In my article Spiritual Vampires, I show how spiritual energy can be turned vampirising into the ego-structures, instead of out towards divine healing. Another related article is The Ego-inflation in the New Age and Self-help environment. The Antidote: Happiness for People Who Can't Stand Positive Thinking, by Oliver Burkeman. The Antidote is a series of journeys among people who share a single, surprising way of thinking about life. What they have in common is a hunch about human psychology: that it’s our constant effort to eliminate the negative that causes us to feel so anxious, insecure, and unhappy. And that there is an alternative “negative path” to happiness and success that involves embracing the things we spend our lives trying to avoid. 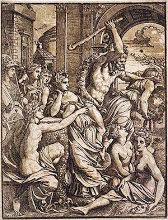 It is a subversive, galvanizing message, which turns out to have a long and distinguished philosophical lineage ranging from ancient Roman Stoic philosophers to Buddhists. Crazy Therapies : What Are They? Do They Work? Against Therapy, by Jeffrey Masson. In this ground-breaking and highly controversial book. Masson attacks the very foundations of modern psychotherapy from Freud to Jung, Fritz Perls to Carl Rogers. With passion and clarity, Against Therapy addresses the profession´s core weaknesses, contending that, since therapy´s aim is to change people, and this is achieved according to the therapist´s own notions and prejudices (subjectivism), the psychological process is necessarily corrupt, and can justify the use of brainwashing, beating and torture. In a nutshell it is the same argumentation I myself put forward towards the Matrix Conspiracy´s two methods: psychotherapy and coaching. See my books The Matrix Conspiracy 1-2. Outrageous Betrayal: The Dark Journey of Werner Erhard from est to Exile - by Steven Pressman. This book outlines the following: At the age of twenty-four, Jack Rosenberg was a smooth-talking car salesman in Philidelphia with a wife and four small children. But on a spring day in 1960, he abandoned his family to forge a new identity as Werner Hans Erhardt and to begin a bizarre journey that eventually brought him to the New Age shores of California. 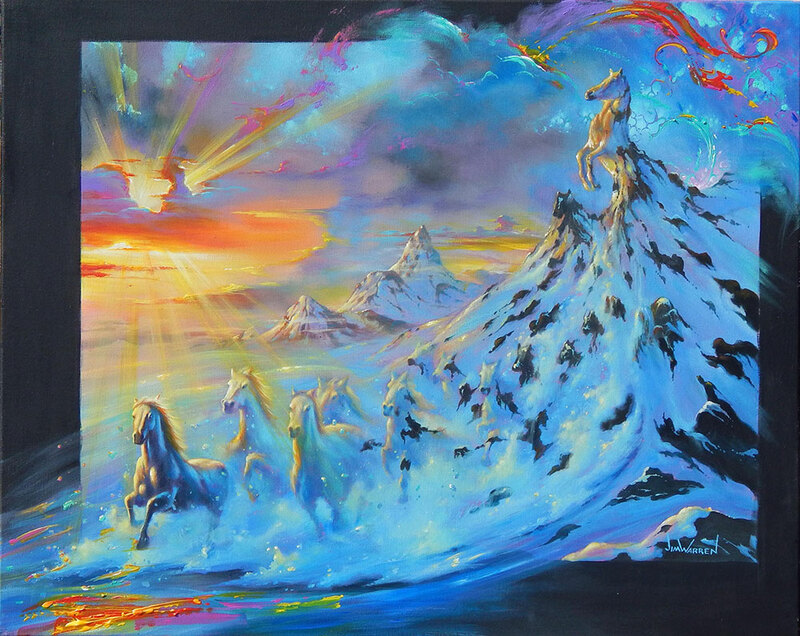 As the founder of a Human Potential movement known as “est,” which stood for Erhard Seminars Training, Erhard in the 1970s and 1980s attracted hundreds of thousands of followers who sat through grueling sixty-hour “training” sessions that promised personal transformation and profound insights into human relationship, eventually spiritual enlightenment. Over the years, est´s customers – from curious housewifes to famous Hollywood celebrities – paid millions of dollars to receive Erhard´s brand of enlightenment. To many of them, Erhard became an exalted guru who deserved nothing less than godlike devotion. In the 1980s, the est training was replaced by a similar program called the Forum. But Werner Erhardt was eventually plagued by problems and controversy, culminating in horrifying allegations, which he hotly disputed, that he had forced his wife to live apart from her children and sexually abused two of his daughters. Erhard also became the focus of renewed charges that his est movement had taken on some of the trappings of a cult. At the same time, the Internal Revenue Service persisted in claims that Erhardt´s est-related companies owed millions of dollars in back taxes. A bitter divorce battle between Erhard and his second wife further helped to fuel speculation that est´s approach to personal transformation was both cruel and hollow. Finally, in early 1991, Erhard left the United States, preferring the solitude of self-imposed exile to the glare of harsh publicity. The methods of Werner Erhardt continues today in a multitude of variations. The question remains: why do people buy this, and continues to buy it, even after the exposures? You could answer with a quote from Erhardt himself: “I need to see I am a con man before I can see my true value.” That is: the whole book, in the eyes of Erhardt´s devotees, just outlines a Master´s correct practice of his teaching. Furthermore: Erhardt and followers just follow the prescript that psychotherapy in it´s very essence (subjectivism) is corrupt, and, in the name of psychotherapeutic healing, justifies the use of brainwashing, beating and torture. They are simply models of loving beings, winners caring for the losers. ​Related articles The Devastating New Age Turn Within Pschotherapy, The New Thought Movement and The Law of Attraction and Neuro-linguistic Programming (NLP) and Large Group awareness training (LGAT). Is there a meaning to life?